Developed by an eye specialist for the treatment of dry eye and related conditions. The eye bag is silk and suedex device can be used up to 200 times and is heated in the microwave and placed over the eyes. Developed by an eye specialist for the treatment of dry eye and related conditions. 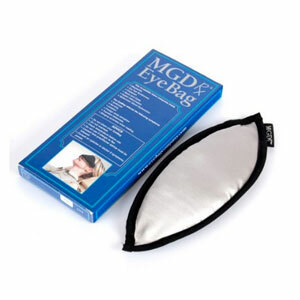 The eye bag is silk and suedex device can be used up to 200 times and is heated in the microwave and placed over the eyes. Heat for 30-40 secs in a microwave and place over closed eyes for 10 minutes followed by eye lid massage.